The dry white wines off Sauvignon Blanc and Sémillon are produced with barrel fermentation and oak wood finishing and are among the best in Bordeaux. The red wines are mainly made Merlot and Cabernet Sauvignon with shares of Cabernet Franc and Malbec ( Cot ) blended. 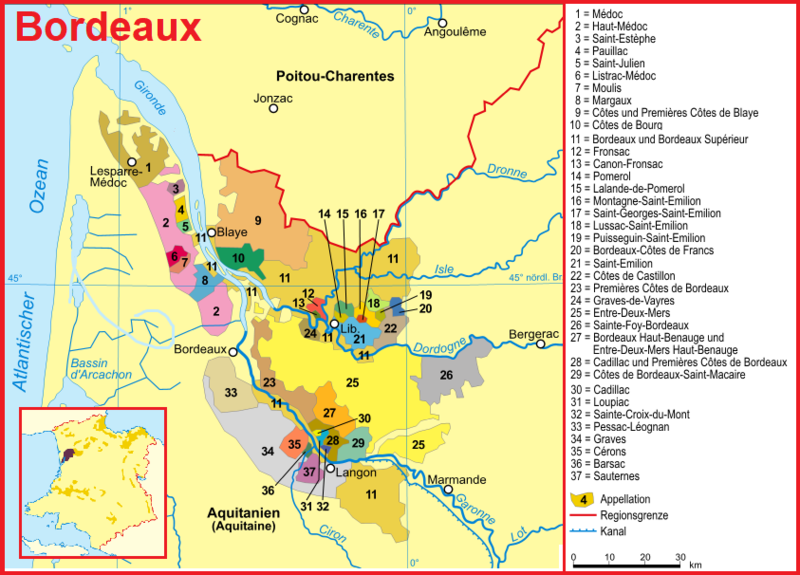 These are the typical grape varieties of the Rive gauche (left bank). The cuvées in the wineries, however, are very different.